Motorola's smart device business is going to the dogs. Literally. Back in the beginning of the year, at CES, Motorola released a line of connected wearables called Verve Life. Now, the entire line is going to be officially unveiled at MWC next week in Barcelona. One of the products is called Verve Retrieve, a dog collar with an IP67 certification for dust and water resistance. The collar comes with GPS and cellular connectivity so that you can always keep track of Rover. The new Verve Retrieve will allow you to set up an invisible fence that will alert you when your dog leaves a certain safe area. The device will last as long as three years before it will need a replacement. Other devices to be introduced next week include the Verve Cam. 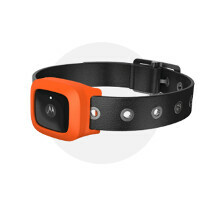 This is Motorola's activity camera and will take 2.5K HD video at up to 30fps. The product comes with a line of accessories that will allow you to attach the camera to just about anything. Software provided by Motorola will let you share videos with social-media sites, and broadcast live (like Periscope and Meerkat). The software will also allow you to edit the footage you've recorded. The Verve line includes a pair of headsets (Verve Loop+ and Verve Rider+) that are water resistant, and provide a battery life of up to 12-hours depending on the model chosen. If you are allergic to wires, the Verve Ones+ is a set of earbuds that contain a battery and a radio inside. You can get by for half-a-day between charges. The Verve Ones+ will allow you to wirelessly listen to music, news, movies, television shows and more, without bothering the rest of the planet. At MWC, we expect to hear about pricing and availability for the Verve devices. And while it won't be the most anticipated announcement from Motorola, we're sure that your dog is eagerly waiting to hear all about the Verve Retrieve. Apart from it your dog will have to charge it every night and have registered gmail account. Um, you should check out Garmin's website. They have a ton more options and even shock collars if you want to train your pup. is there one in a chihuahua mini toy size? I would like to know as well, but, owning four of the little dogs, I don't think I'll be able to afford that. Just have all four of them wear one normal-dog sized collar. I'm interested in seeing if the Verve Rider+ could be a viable replacement for my LG Tone Pro, myself being partial to wireless earbuds that hook around the collar. Do the Verve Ones+ have bluetooth connectivity? From the article alone I wasn't sure if they are fully fledged bluetooth earbuds or simply true wireless earbuds that only play music from the built in radio. Hello, VerveRider...? 2002 called. Wants their collar-style earbuds back. What? The style is still very much used in wireless earbuds these days. I have a lot of fun strapping a little walkie talkie to my dog's collar and seeing people's faces as the dog walks up to them and I start talking.